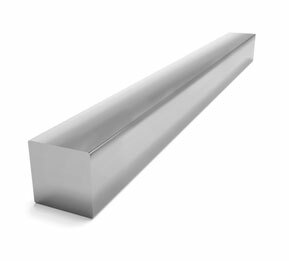 Best Stainless is your stainless steel square bar supplier with a variety of steel grades available, as well as a selection of different stainless steel stock shapes. 1/4" 5/16" 3/8" 7/16" 5/8" 3/4" 7/8"
1" 1 1/8" 1 1/4" 1 1/2" 2" 4"
2 7/16" 2 1/2" 2 11/16" 2 15/16" 3 3/16" 3 1/4"
In addition to our square bar inventory, we also carry shapes such as: round bars, flat bars, and hex bars. We’ve been trusted for years as a leading supplier of shafting with inventory built around catering to the shafting market's needs. We can provide the same great service for your stainless steel square bar needs. Ask a sales representative for more details.